Is Foam About To Transform The Oil Recovery Business? The best way to get oil out of the ground may be to pump in foam. 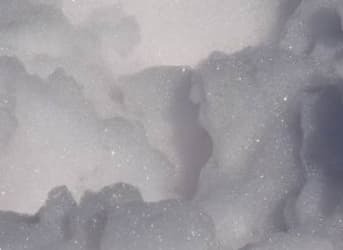 Scientists pumped foam into an experimental rig that mimicked the flow paths deep underground and found the foam was more effective than more commonly used materials, such as water and gas. Sibani Lisa Biswal, associate professor of chemical and biomolecular engineering at Rice University, created the experimental formations—they look something like children’s ant farms—to see how well foam stacks up against other materials in removing as much oil as possible. The formations are not much bigger than a postage stamp and include wide channels, and large and small cracks. By pushing various fluids, including foam, into test formations, the researchers can visualize the ways by which foam is able to remove oil from hard-to-reach places. They can also measure the fluid’s pressure gradient to see how it changes as it navigates the landscape. The findings are strongly in foam’s favor. Foam dislodged all but 25.1 percent of oil from low-permeability regions after four minutes of pushing it through a test rig, versus 53 percent for water and gas and 98.3 percent for water flooding. This demonstrated efficient use of injected fluid with foam to recover oil. Biswal says her lab plans to test foam on core samples that more closely mimic the environment underground. George Hirasaki, professor emeritus of chemical and biomolecular engineering and Kun Ma, a Rice alumnus, are coauthors of the paper. The Department of Energy, the Abu Dhabi National Oil Co., the Abu Dhabi Oil R&D Sub-Committee, the Abu Dhabi Co. for Onshore Oil Operations, the Zakum Development Co., the Abu Dhabi Marine Operating Co. and the Petroleum Institute of the United Arab Emirates supported the research.